Qatar Airways has launched some interesting deals from Oslo if you need to travel to Asia, Africa or Australasia over the next couple of months. ….. plus the cost of getting to Oslo and back! But that is what Avios ‘Reward Flight Saver’ redemptions are for …. Note that whilst two people need to travel together to get the Economy deals, this is NOT the case with the business class deals. You need to book by 10th April for flights between 21st April and 20th June. 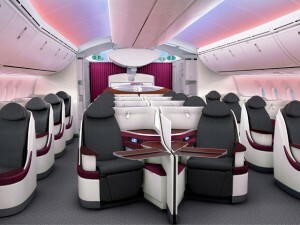 As Qatar Airways flies a Boeing 787 on the Oslo route, you will get the latest – and very impressive – business class seat which I reviewed here and which is pictured below. 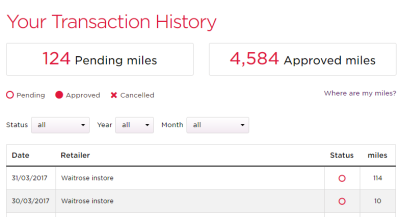 My recent article on the ability to earn Virgin Atlantic miles when you shop in-store at Waitrose generated more excitement than most recent pieces. It isn’t clear if that is the date of the transaction, the date it was processed or the date it posted. 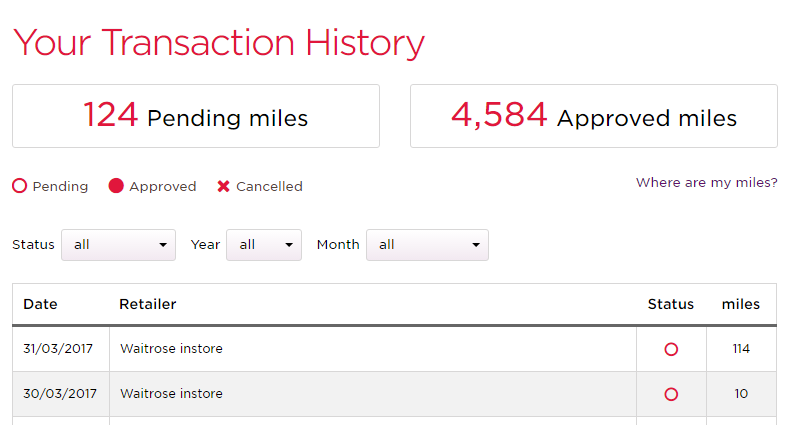 Note that the Virgin Atlantic site is now saying that the ‘4 miles per £1’ deal is a special offer which will only run until 24th May. It isn’t clear what the on-going earning rate will be after that. Which hotel chains let me collect Avios points? Thanks. Will run this Thu as just off to HK! OT: TESCO CURRENT ACCOUNT OPEN TO NEW APPLICATIONS AGAIN. New twist this time, 3% interest requires £750/month deposit plus 3 DD per month excluding tesco savings accounts. I have had a yes you can , and a no you can’t- Can Rob answer this please? This is cheeky but can I get virgin miles if i use my BA AMex card at waitrose assuming I register the BA Amex on that shoppers link/site. He’ll probably be zonked tomorrow aswell..
It’s OK – finally found it! All posted fine….